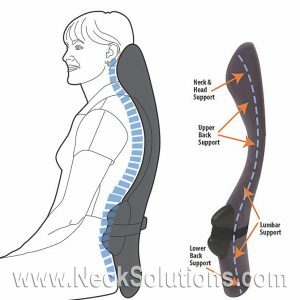 Use In The Car And/Or Your Favorite Chair, The Back Support Pillow Helps To Provide Relief Of Postural Back Pain As It Conforms To The Natural Curve Of Your Back. 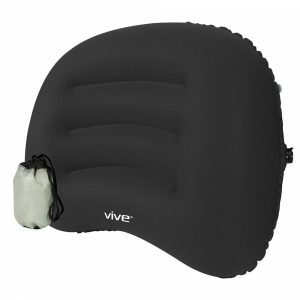 The Unique Logic System Of Support And Lightweight Construction Makes This A Perfect Companion For Home, The Office And On The Road. 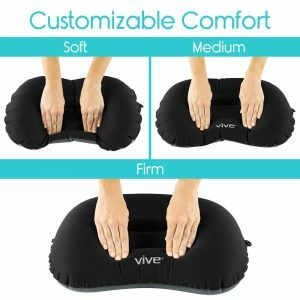 Ships Free UPS Ground To Continental U.S.
Inflatable back pillow is lightweight and portable, ergonomically designed for adjustable lumbar support home, in the office, in a car or plane. 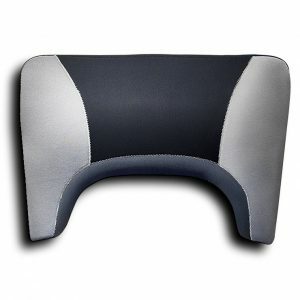 Makes ever seat comfortable with a personalized amount of back support in every seat. 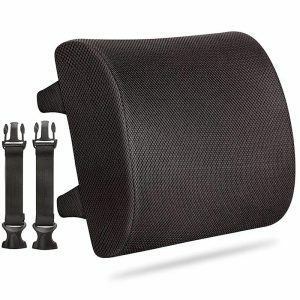 Integrated elastic fastening strap. 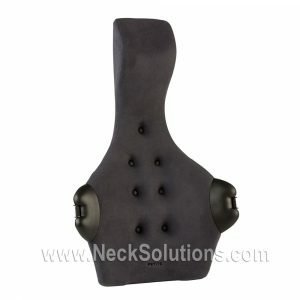 Durable and tear resistant for long-term use. Includes a travel bag and 60 day unconditional guarantee. 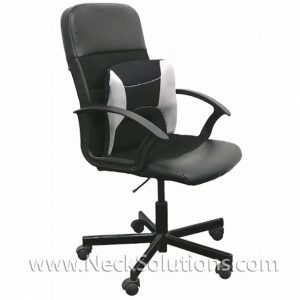 Lumbar support cushion relieves and alleviates both acute and chronic pain from: back aches, muscle aches, arthritis, stenosis, herniated disks and general sore backs. Sizing: General – Small/Petite 5' 2″ and smaller | Medium/Average 5' 2″ to 6' 2″ | Tall/Large 6' 2″ and taller. Ships Free UPS Ground Continental U.S.